SACRAMENTO, Calif. (CN) – California’s decimated salmon and trout populations will continue to suffer due to the effects of climate change – and 75 percent of the state’s native salmonids could be extinct within the next 100 years, biologists said Tuesday. Researchers at the University of California, Davis, warned that the overarching threat facing the state’s remaining 31 salmonid species is climate change and that immediate habitat restoration is needed in order to move the fish off the brink of extinction. The alarming report, titled “State of the Salmonids II: Fish in Hot Water,” says California’s salmon, trout and steelhead species are worse off than they were a decade ago when researchers began the study. The fish are mainly struggling with a lack of fresh and cold water supplies exacerbated by human impacts and the state’s recent historic drought. 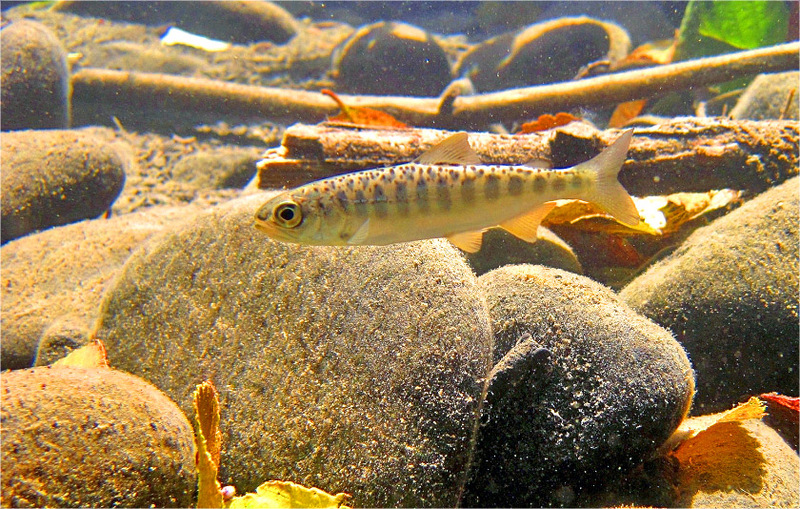 According to researchers, species facing extinction include the Coho salmon, Sacramento winter-run Chinook salmon, California golden trout and several populations of summer steelhead trout. “The majority of salmonid species in California is currently facing, or is likely to face, extinction from climate change if present trends continue,” the report concludes. Lack of cold water, low stream flows, reduced habitat and rising sea levels are all threats facing the species, the report states. Researchers say ramping up habitat conservation projects near rivers and streams that haven’t been dammed could have an immediate beneficial impact. They propose focusing conservation efforts on watersheds such as the Smith River and Eel River and even creating surrogate habitats in Central Valley rice fields which could aid the growth of juvenile salmon. Despite their existential warnings, the report’s authors remain confident in the state’s ability to improve habitat and water conditions for the ancient salmon species. “The challenges in improving salmonid behavioral and life-history diversity are not easy and require collective will. We are optimistic that positive change is imminent and that if the solutions are fully implemented, many of the species reviewed in the ‘State of the Salmonids II’ report will thrive in the future,” the researchers said in an accompanying blog post.